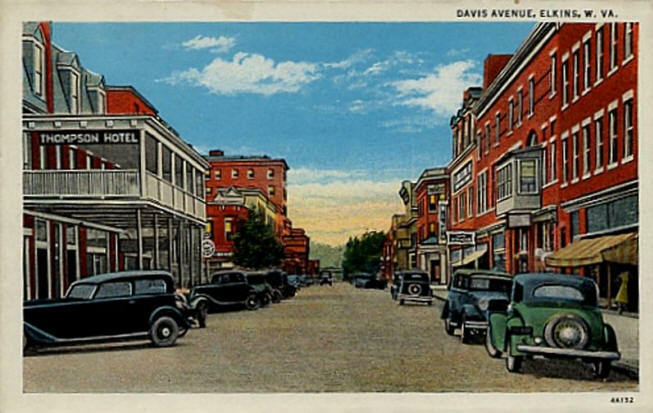 The Hotel Tygart was built around 1907 on Davis Avenue in downtown Elkins. It was originally called the Hotel Gassaway but the name was changed sometime in the early 1900s. The building continues to stand in downtown Elkins, where it is one of the tallest buildings. Hotel Tygart was originally known as the Hotel Gassaway, ca. 1900s. Photo courtesy of the West Virginia & Regional History Collection, WVU. 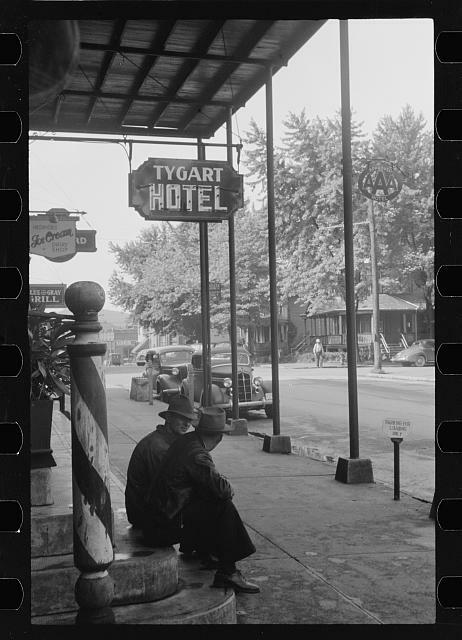 Men sitting on the steps of the Tygart Hotel, 1939. Photo by John Vachon, from the Library of Congress. Interior of the Hotel Tygart. Date unknown. Courtesy of the West Virginia & Regional History Collection, WVU. The building as it looks today. For more on the history of Elkins and photos, click here and visit our Elkins page.